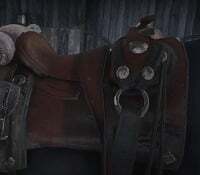 Gerden Vaquero Saddle is one of the Horse Saddles in Red Dead Redemption 2 (RDR2). Horse Tack can be purchased at Stables and gives player the option to customize their Horses' loadout. You might also be interested in Horse Grooming. Can be purchased at any stable.